Take I-90 to Snoqualmie Pass Exit 52 and turn left onto Alpenthal road, toward the Alpenthal ski resort. From Cle Elum, take Exit 53, turn left and go under the freeway, then turn right at the road end. Pass the Snoqualmie ski area and follow signs to the Alpenthal ski area. Park in the Alpenthal ski area parking lot. The trailhead is located at the east side of the lot, opposite the ski resort. The trail begins gradually in and out of trees. 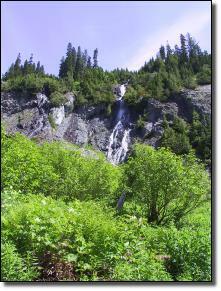 At about 2 miles reach a fork where left fork continues to an overlook of Source Lake. Turn right and head upward as the trail gets much steeper. 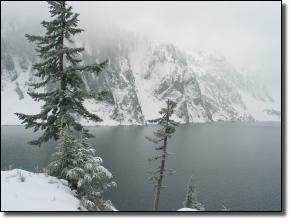 At 3 miles, reach a side path to the overlook high point with a great view, if the lakes not snowed over. There are many picnic spots here. 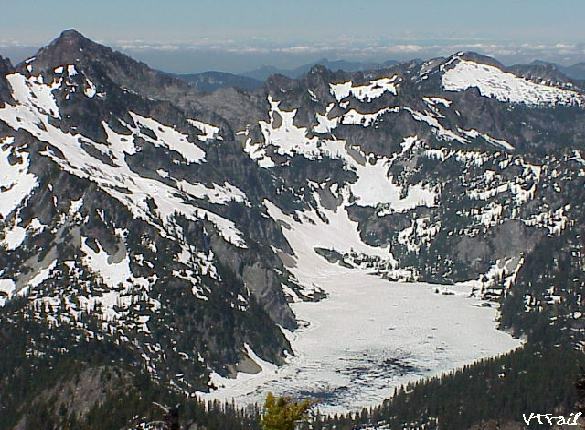 The main trail drops sharply ½ mile to the shores of Snow Lake, and rounds the shore for ½ mile to where the Rock Creek trail comes up from the Middle Fork valley. Turn left toward the shore to find the lakeside trail that switchbacks down to the lake outlet. At the outlet, a log can be crossed to continue to Gem Lake. 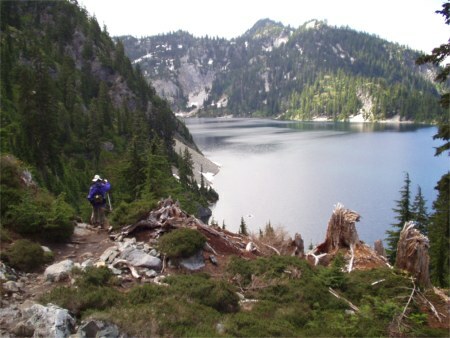 Beyond Gem Lake, crowds thin as the trail heads down to the two Wildcat Lakes.